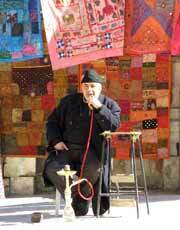 Ready for an exciting, educational, & cultural adventure – Middle Eastern style? This 11-day tour is packed with ancient, modern, & natural highlights. You’ll marvel at the array of landscapes, from the vast valleys & enormous plateaus of the desert to the cascading waterfalls & serene bodies of water. History will come alive as you walk amongst ancient ruins, & examine the exhibits of multiple museums. You’ll learn about ethnic groups, visit local communities, & much more. Caesarea – See Herod the Great’s ancient Roman Amphitheatre. Learn about the use of the Aqueduct. Kfar Kedem – See a reenactment of life 2,000 years ago in Israel. Learn about ancient wine & olive oil production. Agamon Hahula Park – Features a variety of different species of avifauna. Holocaust Memorial Museum – Remember the victims of this World War II tragedy. Israel Museum in Jaffa – Home to the Dead Sea Scrolls. Masada National Park – Ride a cable car to the top of the plateau. See the remains of Herod the Great’s ancient fortress. Dead Sea – Enjoy a float in this salty body of water. Kfar Hanokdim – Discover the traditions & hospitable character of the Bedouin people. Enjoy a coffee-making ceremony & a traditional food tasting. Tel Aviv – Enjoy a guided city tour & optional beach activities. Arrive at the airport in Tel Aviv, & transfer to the hotel. Enjoy a welcome dinner, & if flight arrival time permits, travel to nearby Jaffa for an evening walk. You'll be sure to enjoy the atmosphere of this Middle Eastern harbor city. Return to Tel Aviv for an overnight stay. Enjoy a guided tour of Tel Aviv this morning. Take a stroll through historic Rabin Square, see Independence Hall & other famous buildings that line Rothschild Boulevard, & visit the Old Train Station. Other highlights include exploring the Nahalat Binyamin Market. This afternoon, choose from a variety of optional activities, including bike rides & surfing. Or simply explore the city at your leisure. Enjoy dinner, & another overnight stay in Tel Aviv. Journey up to Mount Arbel this morning. Enjoy spectacular views of the surrounding landscapes, & later picnic in Jordan Park. Later today you’ll visit Mount Beatitudes, & learn about its history, which dates back to the 4th century. You’ll also travel back to the age of classical antiquity as you visit Capernaum. Highlights of this fishing village include the ancient remains of the Synagogue. Watch the sun set over the Middle East as you sail the Sea of Galilee, enjoying delightful eats, great music, & an amazing atmosphere. Enjoy another overnight stay in the region. Discover the natural beauty of Banias National Park, & visit the breathtaking lookout on Mount Bental, all before lunch. Lunch today will be held at a charming, local café & coffee shop. Today’s tour will continue with a visit to the local community, or Kibbutz, Merom Golan. You & your group will enjoy the Kunetra Valley by hybrid bikes. Afterward, you’ll get your camera ready to snap photos of the native avifauna of Agamon Hahula Park. Spend the evening in a nearby Kibbutz. Enjoy cuisine traditional to the Kibbutz you stayed in overnight for breakfast. Travel to explore the ruins of Bet She-an, & enjoy a stop at Gan HaShlosha National Park for a swim. Continue today’s journey by traveling to Beit Alfa, where you’ll see the famous mosaic depicting the zodiac signs. Next, see the cliff-side monastery in Nahal Prat. Enjoy dinner & an overnight stay in Jerusalem. Enjoy a full-day guided tour of Jerusalem today. 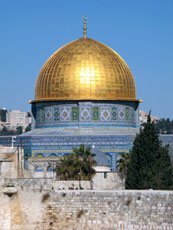 See the city from the top of Mount of Olives, enjoy time to explore & shop the Arab Bazaar, & take a walk down the reputed street where Jesus of Nazareth carried his cross. Discover the tastes of tradition with falafels at lunch, visit the famous Western Wall, & more. After breakfast, take a tour of the Holocaust Memorial Museum at Yad Vashem. Then visit the Israel Museum in Jaffa. While at this museum, you’ll enjoy visiting the Shrine of the Book, where the Dead Sea Scrolls are put on display. Head to Beit Guvrin to spend the afternoon in the shoes of an archaeologist, searching for historic artifacts. This evening, experience a scenic walk along the walls of Jerusalem. Enjoy time to explore & shop the Mechane Yehuda Market this morning. You’ll also enjoy lunch of your choice here. After lunch, travel to Kfar Hanokdim, where you’ll discover the traditions & hospitable character of the Bedouin people. Highlights of your visit to this ethnic, desert-based community include a coffee-making ceremony & traditional food tasting. As the day turns to night, you’ll gain more of an experience of the daily life of a Bedouin. Sleep the traditional way: in one of their tents! Although you’ll be heading out of the Kfar Hanokdim community this morning, you won’t be heading out of the desert quite yet! In fact, you’ll be excited to visit the desert wonder, Masada National Park. After taking a cable car ride up to the top of the enormous plateau, you’ll be mesmerized by the views of the Dead Sea & the vast, valley below. The plateau is home to the remains of an ancient fortress, built by Herod the Great. After exploring the archaeological site, experience floating in the Dead Sea. Before returning to Jerusalem, take a hike through Ein Gedi to see the waterfalls cascading from its rocky hills. Enjoy one more overnight stay in Jerusalem this evening. Transfer to the airport in Tel Aviv, & board return flight home.